Regular attendance in school can be a real game changer in the lives of children. It's a safe, engaging environment separate from the students' home lives, which can sometimes cause stress and other negative issues. After years of working with children in the juvenile justice system, Amy Owens left a career in social work to see child development from a different angle. "I was curious to know the difference between the kids who got up every day and went to school and those who didn't," Owens said. "I wanted to figure out how to be part of the reason kids like school." Owens initially pursued a career in juvenile justice following the passing of Measure 11. She was seeing juveniles being tried as adults and facing long-term consequences for choices they made as minors, and she had hopes to change the paths of future children by entering the social work field. Owens received her bachelor's degree in administration of justice from Portland State University, then later attended George Fox University for her master's degree in teaching. Owens is a 1993 Sandy High graduate and returned to the area to teach 12 years ago. "I think it's kind of neat to be part of the community and school district that helped shape me a little bit," Owens noted. "I had really good experiences in school here." Owens even gets to work alongside a few fellow Sandy-raised educators. 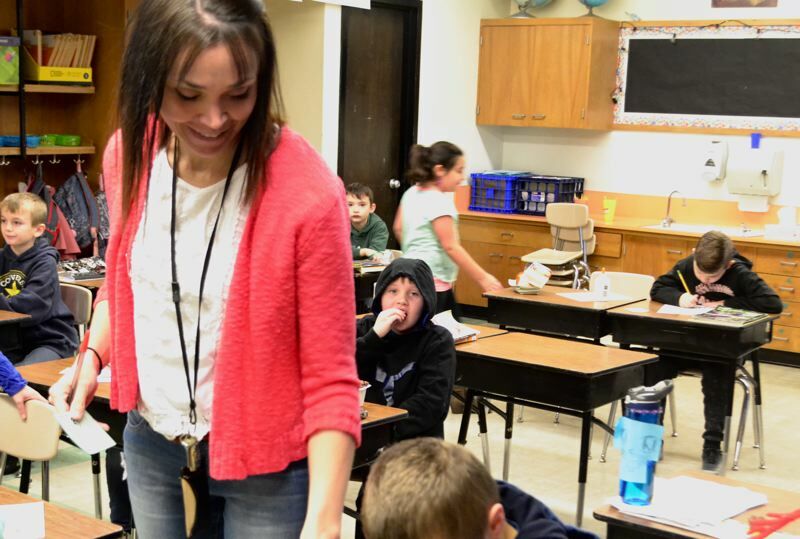 Part of what she's enjoyed about being in the Oregon Trail School District is not only the chance to reconnect with former classmates, but "just building relationships with the kids." "I think that's the most fun part, to be a part of their lives," she added. "The most rewarding part is that moment of understanding for a kid." On the flip side, Owens admitted, the challenge of her everyday is "trying to figure out ways to get kids motivated" — therefore accomplishing her goal as a teacher. "I have kids every year who just don't (engage)," Owens said. "It's about figuring out ways to make learning more important or something they're more passionate (about) or interested in." When Owens isn't hard at work creating engaging lesson plans, she enjoys spending time with her family. With children in team sports, she can often be found on the sidelines at multiple different athletic events, when she's not hiking, reading or simply enjoying time outdoors at home with her dogs and goats.